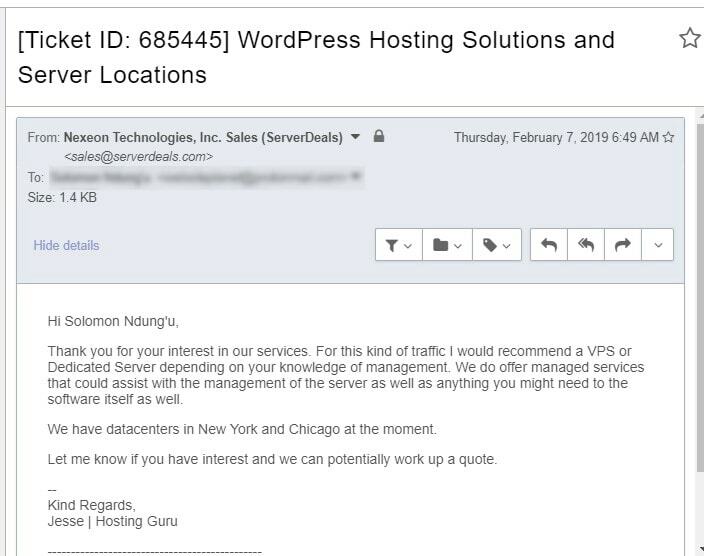 ServerDeals Review 2019: Is ServerDeals a Good Hosting? ServerDeals’ mission has always been to provide quality hosting services at affordable prices backed by 24/7/365 support. It specializes in offering robust managed hosting solutions, but it also provides dedicated servers, virtual private servers, smart servers, and colocation services. ServerDeals is a hosting brand of U.S.-based company Nexeon Technologies, Inc, which began its operations in 2009. This hosting brand started out with a mission to provide quality hosting solutions at affordable prices to business enterprises in the United States and elsewhere. This brand markets itself as a managed hosting provider but it also offers dedicated servers, virtual private servers, smart servers, and colocation services. It has two data centers located in the United States, and its website is in English. ServerDeals is not your typical web hosting provider. As its name suggests, it offers server-based hosting solutions rather than shared web hosting services. Its solutions include dedicated servers, overclocked servers, virtual servers, smart servers, and colocation services. ServerDeals houses its servers in two state-of-the-art data center facilities: one in Chicago, Illinois, and the other in Buffalo, New York. The data centers are staffed 24/7 by highly trained on-site technicians. These data centers also feature redundant network connections, so that server availability is not affected if one network source drops. ServerDeals offers its customers a choice of Linux or Windows operating systems that include CentOS 5/6/7, Citrix XenServer 6.5, Debian Jessie/Wheezy, Ubuntu, and Windows Server 2008/2012/2016. You also get a choice of three control panels: cPanel, Multicraft, and DirectAdmin. Although the ServerDeals website has a link to its backup services page, the link returns a 404 (not found) error, which leaves me wondering whether the vendor offers backup solutions at all. ServerDeals’ managed hosting options are quite affordable and are backed by a 99.9% uptime SLA. Although there appears to be no money-back guarantee, you can commit for as little as a month at a time. Or, you can get a small discount for purchasing an annual plan. ServerDeals provides a live chat facility for sales queries, plus a contact form, a sales email address, and a telephone number. Customer technical support is 24/7/365, but it took me a while to find the support ticket system accidentally when trying to purchase a plan. While I emailed this provider, it took more than 36 hours to receive a reply. To be fair, I’m not yet a fully signed-up customer, and (also to be fair) I did get all my questions answered in the end. As with the ticketing system, I found this provider’s knowledge base by accident when trying to purchase a plan. I needn’t have bothered since it contains only a handful of articles. ServerDeals lives up to its name by offering some good deals on hosting server solutions. From virtual servers for SMEs to dedicated servers designed to host large websites, this provider has invested substantially in delivering quality solutions backed by a polite and helpful support team. However, if you’re looking for shared hosting solutions, you’ll have to look elsewhere. 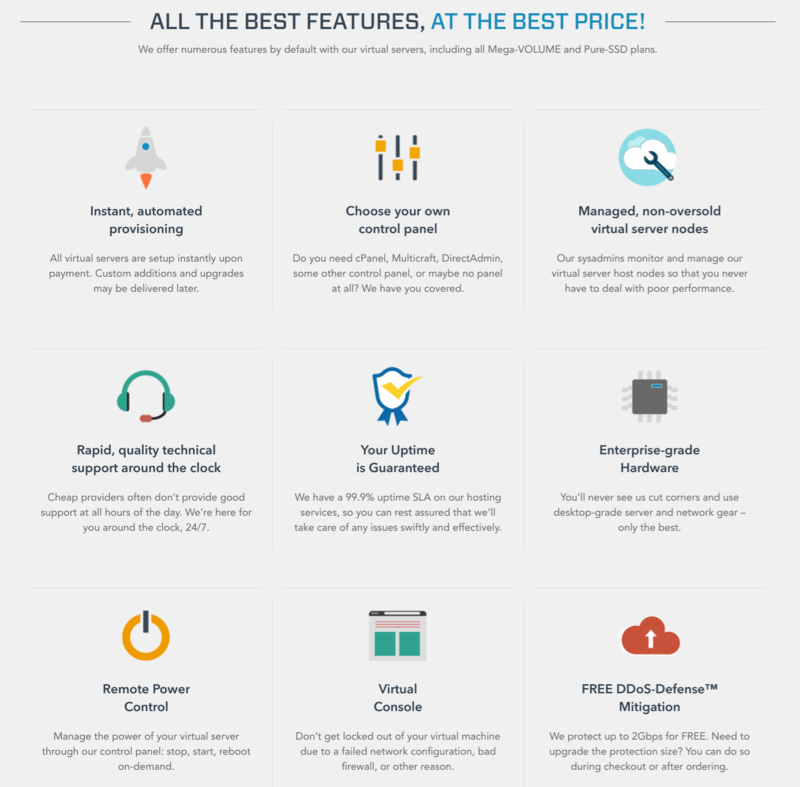 Wondering how ServerDeals stacks up against other Web Hosting companies? Enter any other Web Hosting company and we will give you a side-by-side comparison.